Dr Oz Truth or Dare: Belly Button Hygiene & What is Snot Made Of? If you have ever wanted to play Truth or Dare with Dr Oz, this was your chance with Dr Oz. He put four women to the test and asked them to face their health fears. Learn why you should keep your belly button clean, and find out: what is snot made of? First, Lisa was dared to perform an interpretive dance representing the Stomach Flu. It’s a good thing that Lisa was a nurse, because she has probably seen plenty of flu cases in her time. I am not sure how well she nailed the choreography part, but she gets points for trying. 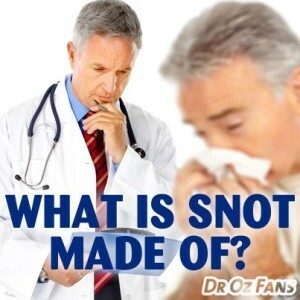 Filed Under: Dr. Oz Games Tagged With: Belly Button Hygiene, Dr Oz Name That Organ, Dr Oz Truth or Dare, Stomach Flu Interpretative Dance, What is Snot Made Of?